"Diddy Barrel" redirects here. For information about Diddy Kong's barrel in Donkey Kong Country: Tropical Freeze, see DK Barrel. "Dixie Barrel" redirects here. 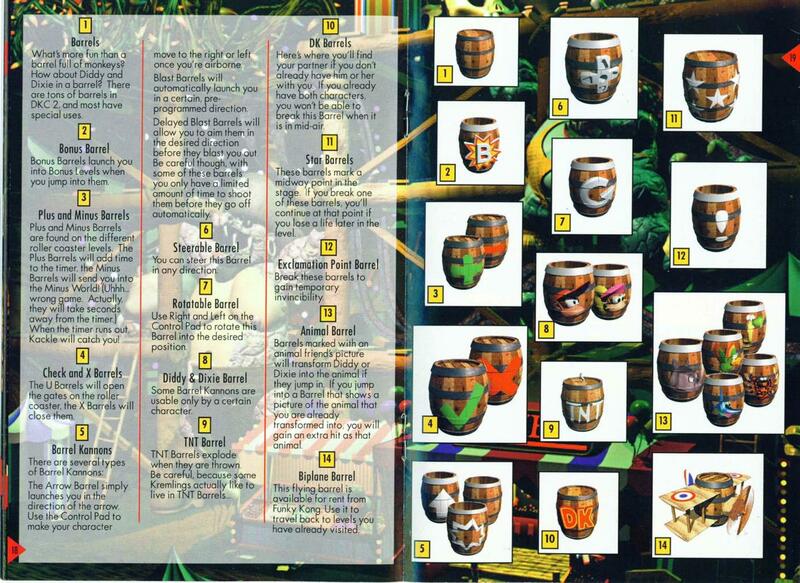 For information about Dixie Kong's barrel in Donkey Kong Country: Tropical Freeze, see DK Barrel. Diddy & Dixie Barrels, also known as Character Barrels, are a type of Auto-Fire Barrel found in the games Donkey Kong Country 2: Diddy's Kong Quest and Donkey Kong Land 2. This kind of Barrel can only be used by the Kong whose face is pictured on the Barrel, which means that only Diddy Kong can use the Diddy Barrel and Dixie Kong can only use the Dixie Barrel. The wrong Kong will instead pass through their friend's barrel should they come in contact with one. When the corresponding Kong jumps into their Barrel, they will be launched out automatically. The barrels can sometimes be found at the End of Level Targets to make obtaining a prize easier. This page was last edited on February 16, 2019, at 22:03.